Welcome back my lovebugs! So I have to share this wonderful trend that has been going on forever. You can dress it up or down. Whichever one fits your style. Stripes are very versatile and fashionable. Literally, every shape and size can pull off stripes. Down below are my top three ways to execute this staple trend successfully. 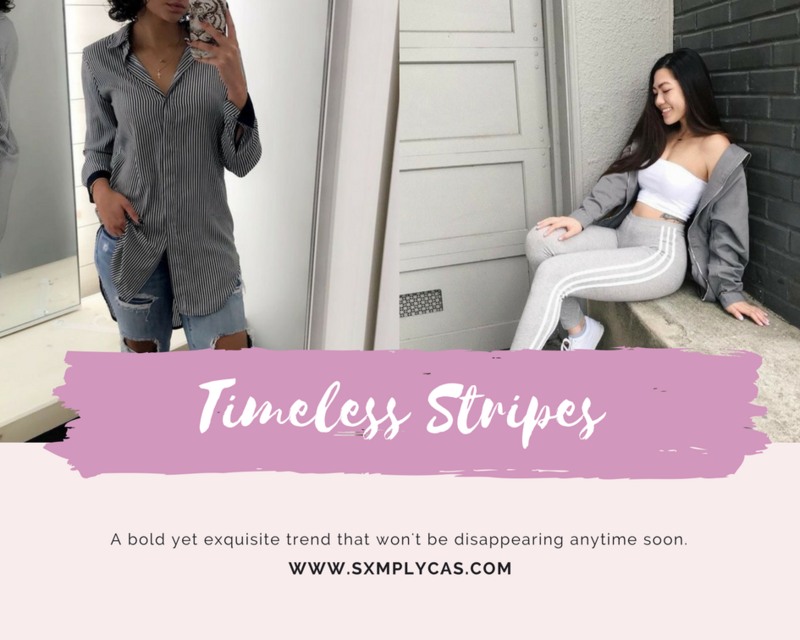 No matter the weather or season, stripes are the way to go ya'll! If you're a more casual and chill type of person, this look it for you. This is my absolute favorite way to wear stripes. 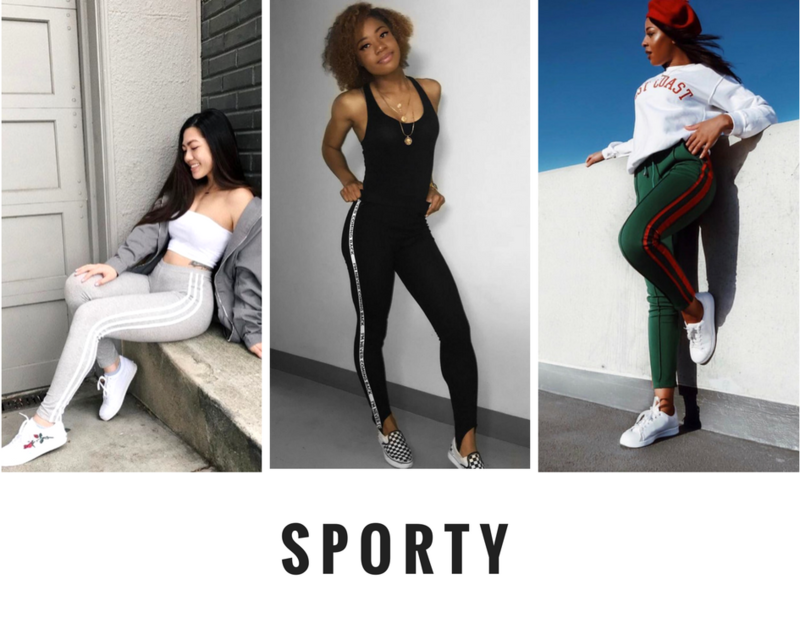 Literally, every online store is selling these leggings and trousers. My favorite store to purchase a pair from are ZARA, of course. But the two pair of leggings I got from there are amazing quality. Not thin like your typical leggings. They do retail for about $29.99 USD but I promise you, its worth it. You can complete this look with your favorite oversized pullover sweatshirt and classic sneakers. 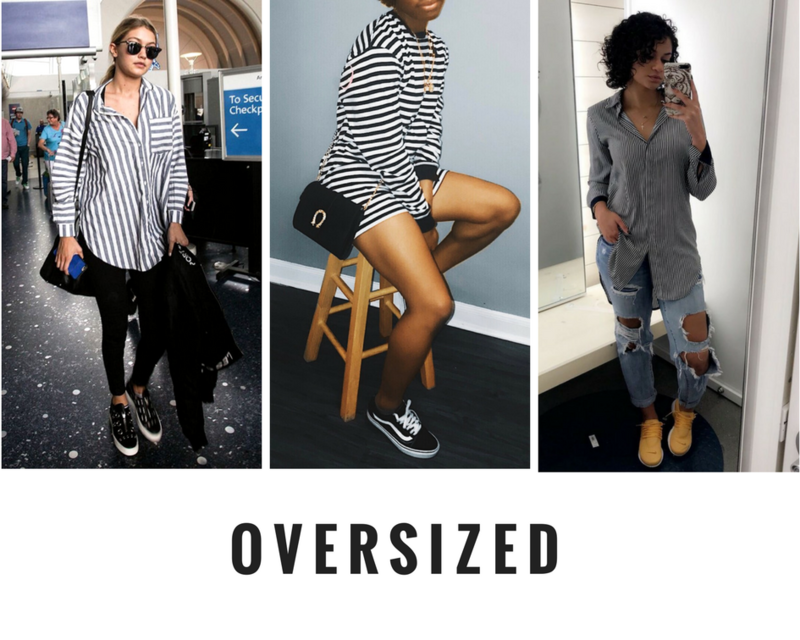 Oversized is the way to go. This is another comfortable but popular look. It's like you tried to look put together but you're really not. My spin on this look is an oversized men's long sleeved shirt from H&M with a pair of black biker shorts and sneakers. I received so many compliments on this outfit. If you want a cleaner look, I recommend a collared shirt with your favorite pair of ripped jeans and comfortable sneakers. Shopping in the men's section is the way to go to execute this oversized look. Lastly, but most certainly not underrated, the dressy look. This is probably a look I'll do once in awhile compared to the other two above. The way I executed this look is a mock neck dress and clear/black heels from Missguided. I wanted to keep it simple and stylish. Another favorite look of mine is the off the shoulder oversized collar shirt, tucked into a denim skirt. I will most definitely be executing this look in the near future, with a pair of thigh-high boots. Welp lovelies, I hope you enjoyed this trend alert. 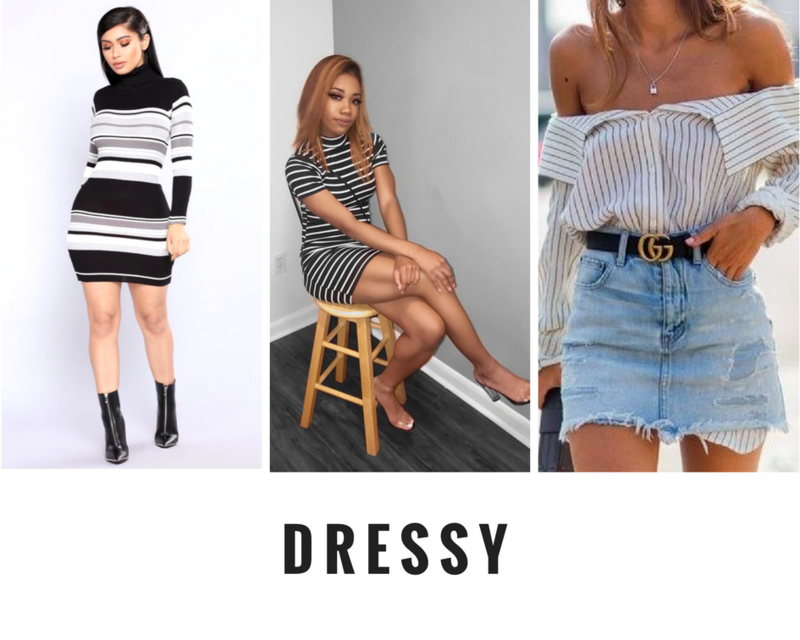 I most definitely want your feedback on wearing stripes. How would you incorporate this look into your personal style? Make sure to use the tag #sxmplycas so I can check how you executed this trend. Once again stay blessed! I am definitely a stripes girl! Thanks for all these awesome inspirations!